As winter get closer and the weather gets colder there is nothing better than snuggling up next to a warm open fire or popping on your wooly hat and sitting around a bonfire. This Halloween Lush have released the ever so pretty Fireside soap. 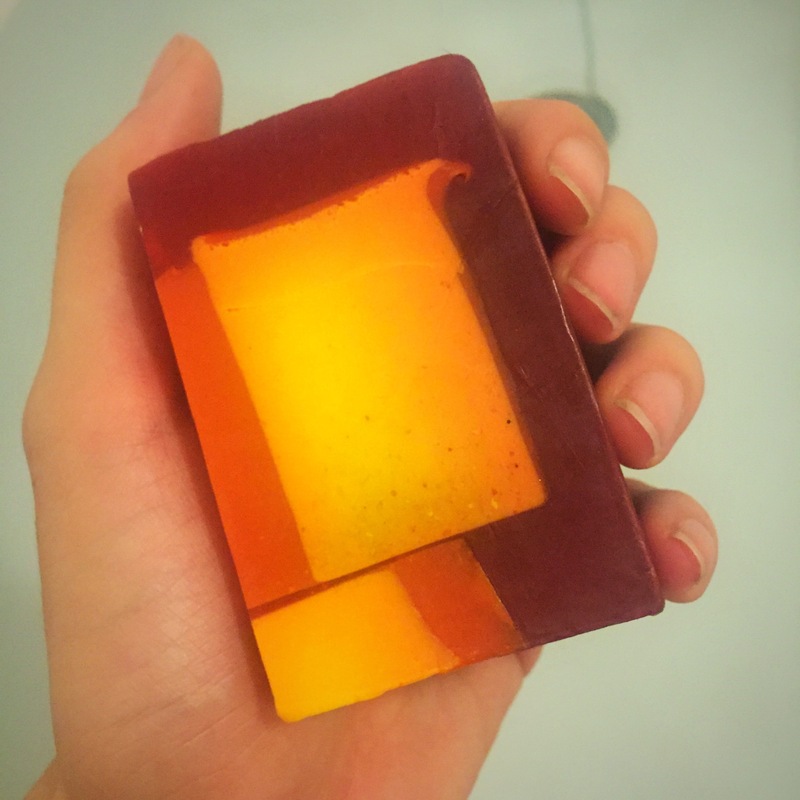 This soaps design really does capture the feel of sitting by a fireside and features an array of yellows, reds and oranges. 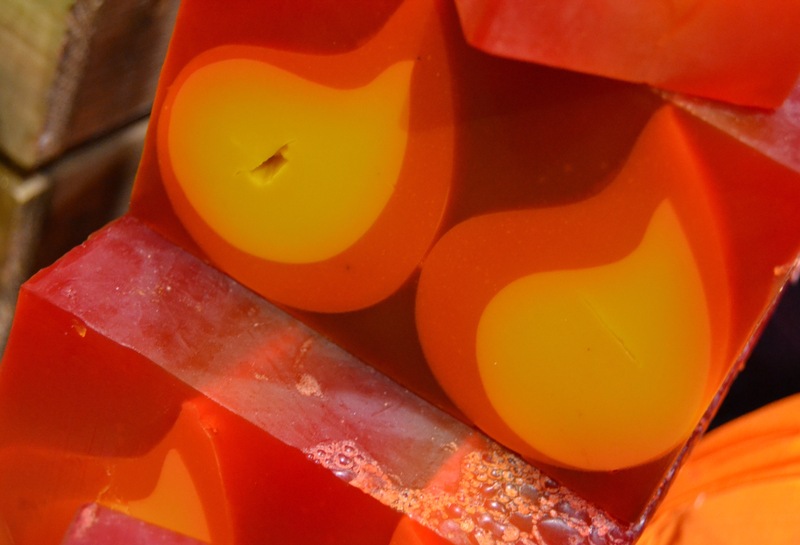 The soap also have the most wonderful flame design which is the perfect finishing touch to this winter soap. The scent of this soap is very different to what I think I was expecting and very different to anything I have tried before. Containing clove bud and vanilla the soap has a spicy yet sweet scent, gives off an almost woody and smoky aroma. The yellow and orange flame in the soap contain chestnut oil and the red parts of the soap contain dried chestnut. This gives the soap an anti inflammatory affect. The clove bud oil also help to create an stimulating effect and is an antiseptic making this soap super affective as well as super pretty. Overall I wouldn’t pick this soap as one of my favourites mainly due to the scent not being quite sweet enough for me. But it is one off the most beautiful soaps to look at and I’m defiantly going to enjoy using the rest of the bar I have. This soap sounds perfect for me visiting lush Friday to pick up the Halloween range so excited!